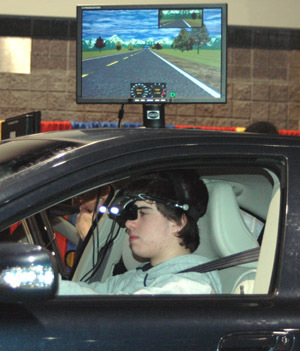 A Drunk Driving Simulator allows a student to drive in a simulated drunk mode. 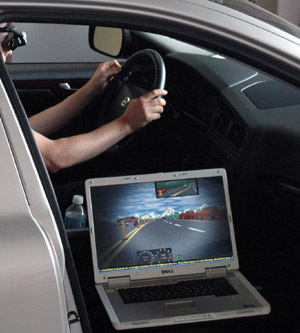 It demonstrates the dangerous effects of DUI/DWI driving, such as delayed response to controls and narrowing of the effective field of view - "tunnel vision" (see photo on the bottom-right). Since we are using an actual car, this high-fidelity tool really brings the "do not drink and drive" message home. It has been used by many High Schools for pre- Prom, overnight Prom parties and other safety events nationwide. Our in-vehicle Driving Simulator also facilitates the usage of actual mobile devices to demonstrate the dangers of driving while distracted by texting (DWT) or similar activities. 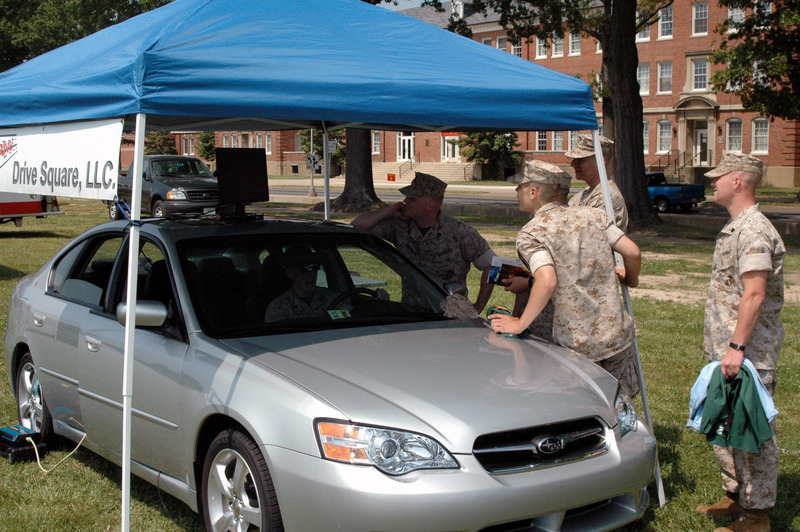 Demonstrations can be done in short sessions with many spectators observing while each student is driving. 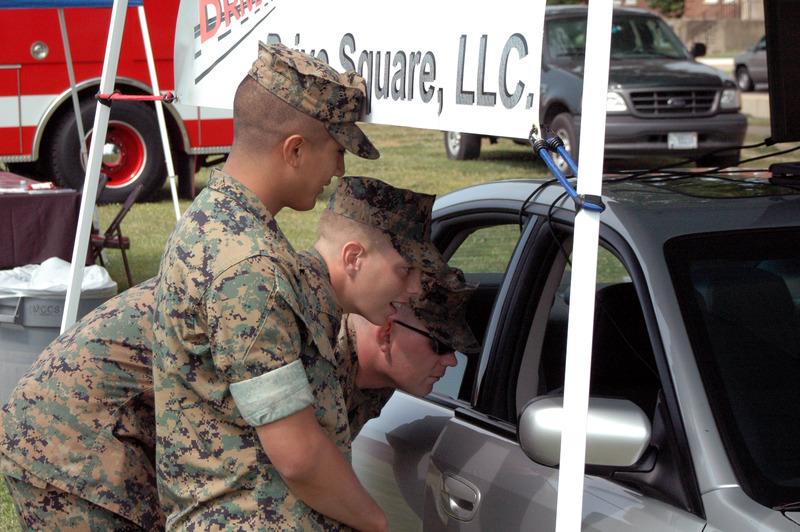 Drive Square sells, leases and rents simulators to safety programs at schools, colleges, professional and military driving safety organizations. We offer a full-service simulation option for customers nationwide. Our technician will bring a simulator or two to your location. We will set it up and run it for you. Just bring people. You don't even need to read the manual. This is a perfect option for a trade show or a safety event. $1200/day per simulator plus travel charge ($0 travel charges in Greater Washington, DC area). Please book your dates early! Visa/MasterCard/PO/Checks accepted.